While attending the press launch for the 2014 Toyota Tundra and 4Runner recently, journalists were invited to partake in some additional activities that gave us a taste of the locality, in this case Jackson Hole, Wyoming, and the Grand Teton National Park. 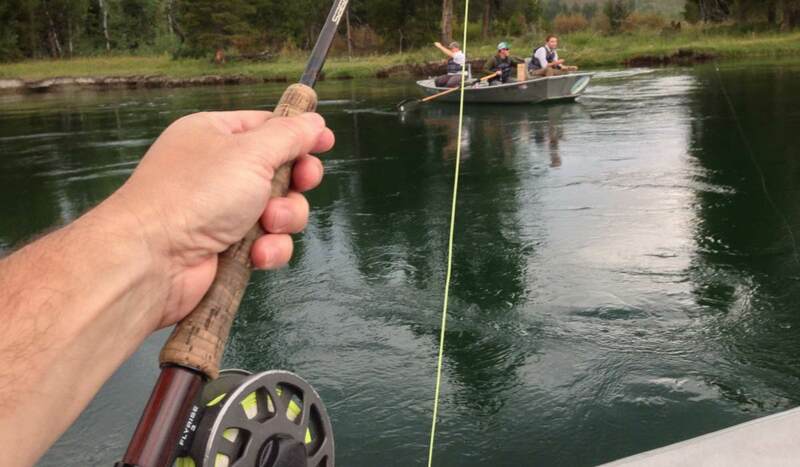 Flyfishing the Snake River was offered and I jumped at the opportunity. 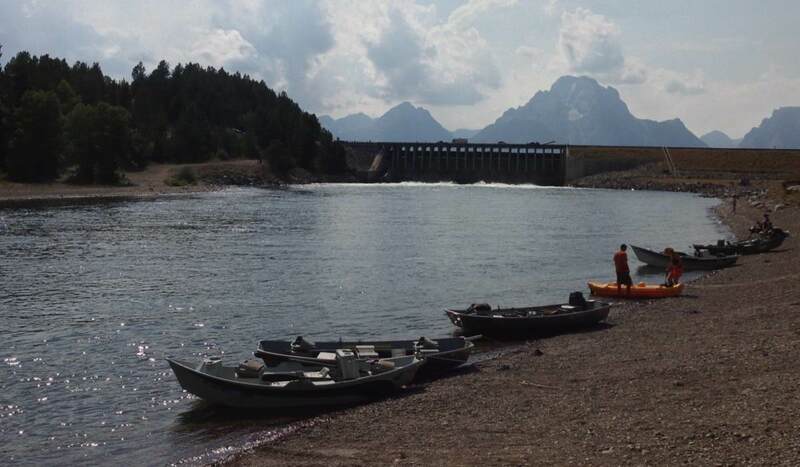 I had only flyfished smaller, lesser known waters easily accessible from my home in north Texas but had heard many things about the Snake River and knew it was on many people’s list of “must go” destinations. We met our guides just below the dam where the river flows from Jackson Lake. Two to a boat plus our guide Chris Brylinski and off we go. Following some quick pointers about fishing from the float boat (along with some much-needed refresher lessons) we were fishing. The first fish caught was by a large Osprey patrolling these waters, an awe-inspiring sight watching this grand bird swoop down and pluck a trout from the river with what appeared to be so little effort. If only the same could be said for us hapless journalists looking like the epitome of “city slickers” to our guide (and the Osprey). Fortune did favor us soon enough as “fish on” became a common cry. We were fishing barbless so the trout stood a fighting chance of victory in these battles. Valiant efforts were waged by each side as we won some and we lost some. It was all catch and release this day so efforts for fish survival was important – get the ones we landed back into the wet as soon as possible. We did manage to steal a “trophy” photo or two but the only thing on my mind was fishing, and that I was fishing the Snake River in the Grand Teton National Park. I managed (somehow) to get six into the boat and forfeited four to the overwhelming will of the fish (and lack of skill on my part). 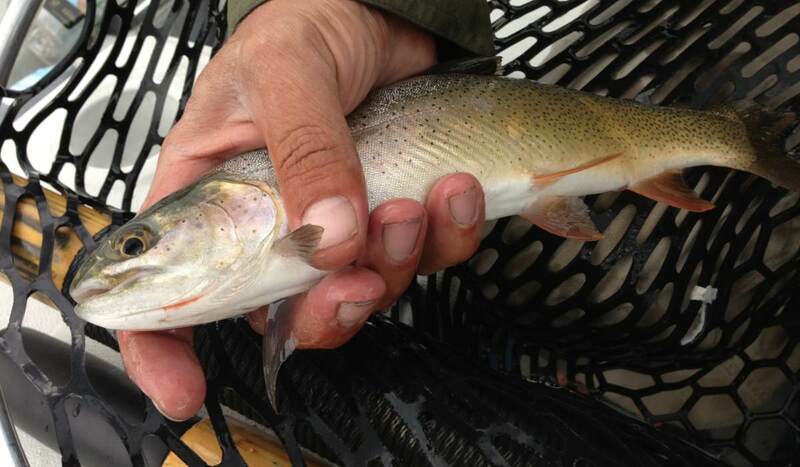 Oh, and the one that got away…it hit my dry fly like a freight train and then began stripping line at a meteoric pace. After a short battle this intelligent river dweller made a beeline for the water under the boat thereby giving it just enough slack to be able to throw the hook and get the best of me. The muscles in my arms still retain the memory of the fight but alas there are no pictures of this fish occupying the memory card of my camera. The four-hour flyfishing adventure was a wonderful trip, one I would recommend to all who fish, and if you’ve never held a fly rod in your hand that is no problem as these patient guides will have you catching your first “Cutty” in no time. 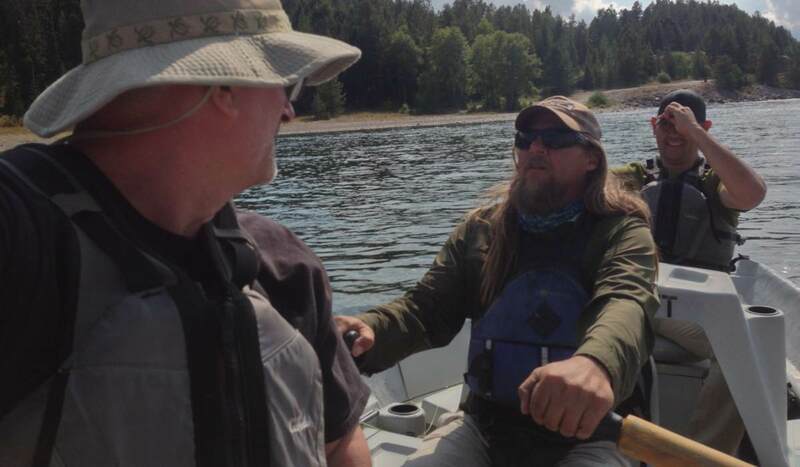 Even if we weren’t fishing this river journey would have still been a pleasure as we were blessed by a visit from a Bald Eagle and listened to the mating ritual of the park’s Elk population. A river – the Snake River – runs through the Grand Teton National Park and the memories made on this press junket now flow through my mind…no catch and release for those.